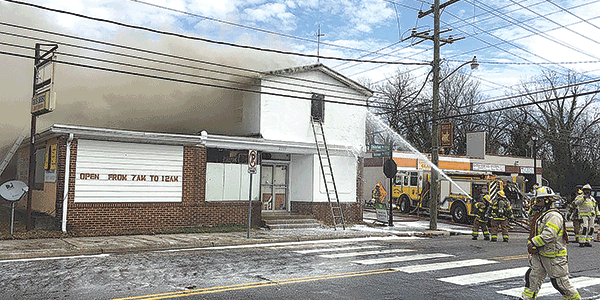 Firefighters fight a fire at an Ettrick grocery store last week. One firefighter was injured while battling a fire in the 21100 block of Chesterfield Ave on Wednesday, Feb. 6. 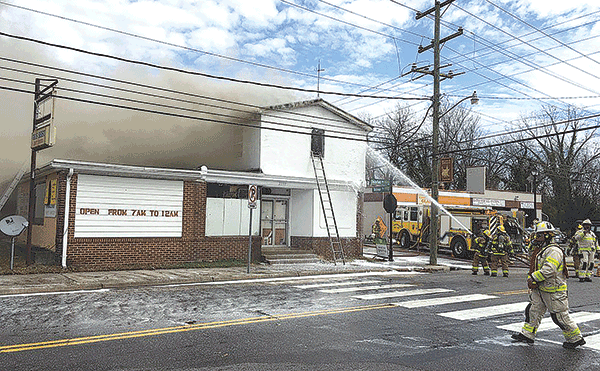 Smoke showing from the roof of Virginia’s Best Mart Grocery Store at 21113 Chesterfield Ave. was reported around 11:50 a.m.
“Occupants of the building self-evacuated,” Chesterfield Fire and EMS Lt. Jason Elmore said. The fire was under control at 12:15 p.m. The cause of the fire was electrical, Elmore said. Elmore said the firefighter had non-life threatening injuries. The store will be closed for an undetermined amount of time.